This Belleek plaque features the words, Bless This House. The Belleek Bless This House wall plaque features hand painted green shamrocks along with an embossed design. 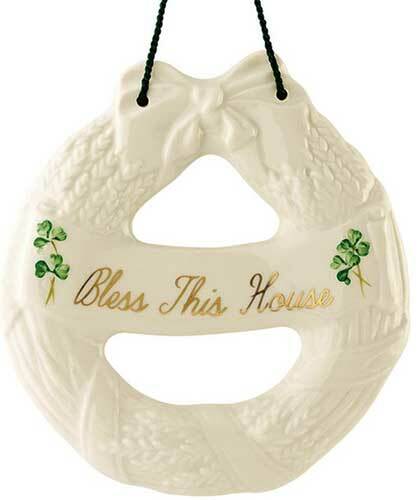 Bless This House is painted in gold and the Belleek wreath shaped plaque measures 6 1/4” tall; it is ready to hang with the included cord. 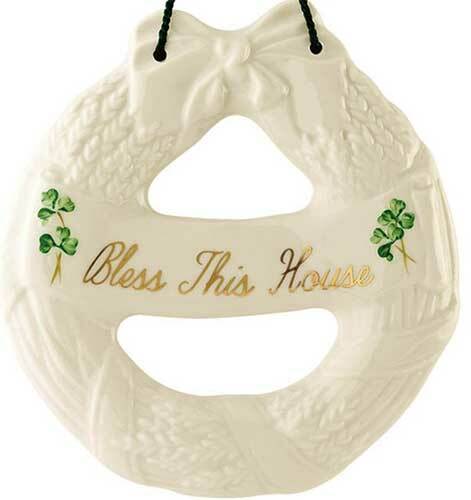 The Irish house blessing plaque is hand crafted and hand-painted in Belleek, Ireland and is gift boxed with a shamrock history card, complements of The Irish Gift House.